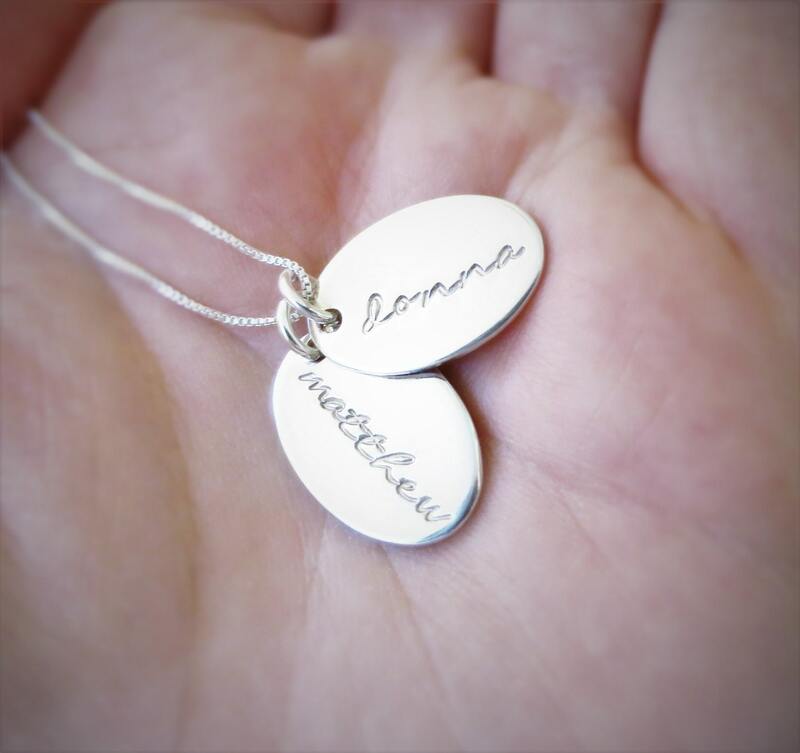 Two 1/2" x 3/4" sterling silver ovals will be hand stamped with the names of your choice in my new script Elizabeth font. 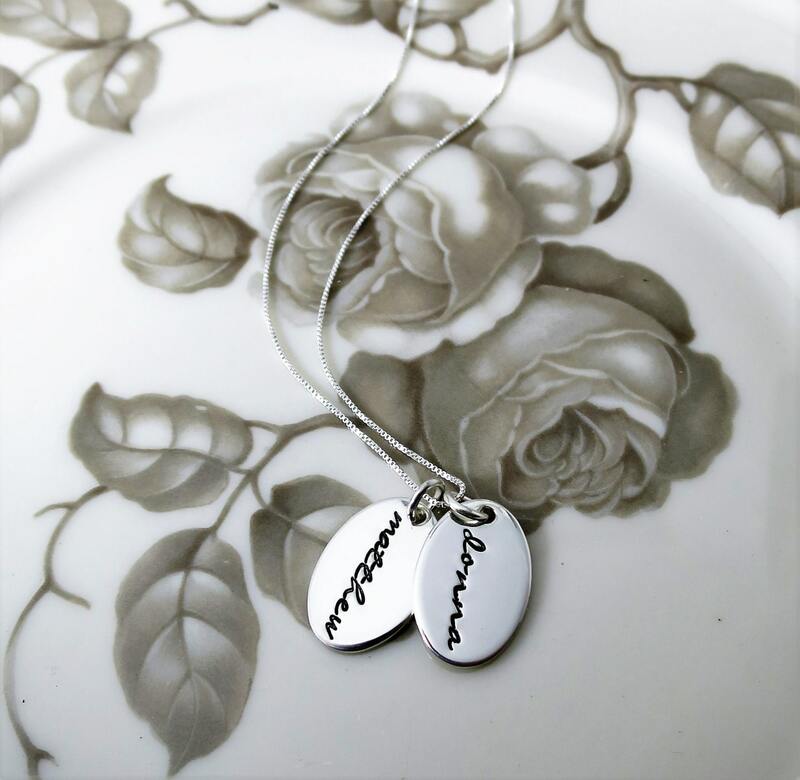 The pendants are a thick 18g and are paired with a delicate sterling silver box chain. 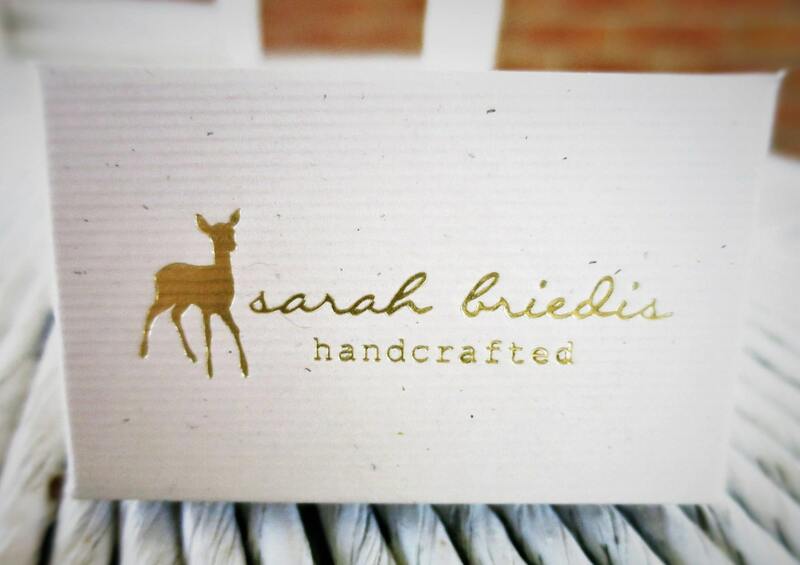 Choose from imprint only or ink-darkened text. 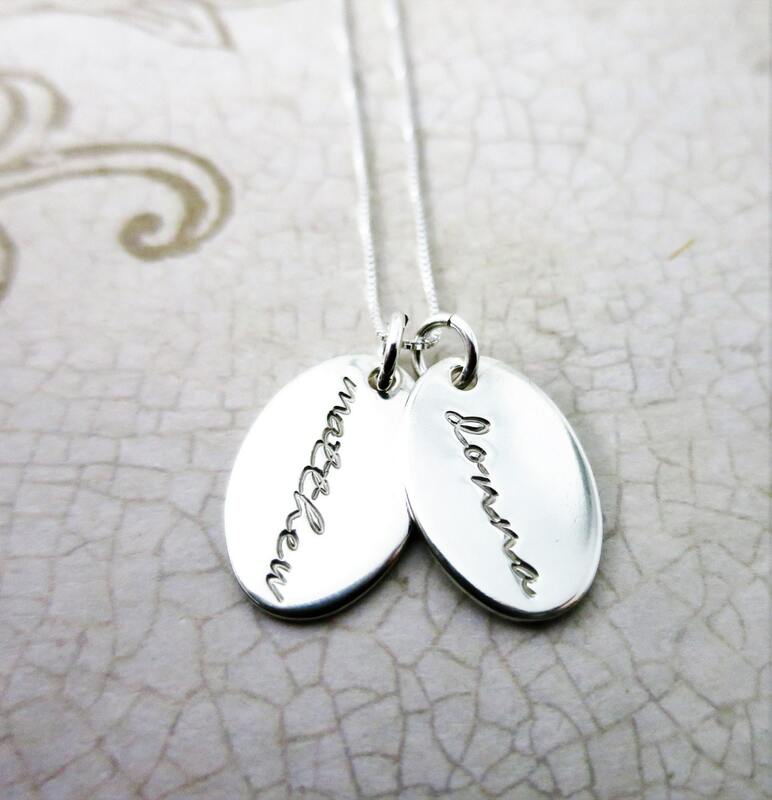 Up to 7 characters will fit across the width of the pendant. 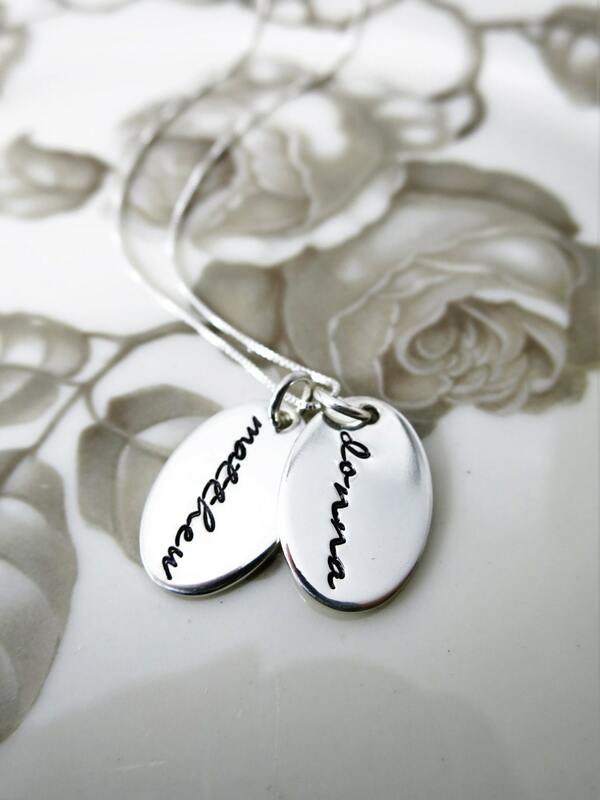 Please note the names you'd like hand stamped on your necklace in the note space at purchase.